For those inclined to distrust the CDC’s promise that the Ebola virus can be contained now that it’s reached U.S. shores, get your credit cards ready. “It’s a big mistake to downplay and act as if ‘oh, this is not a big deal, we can control all this,’” claimed doctor and man of the people Rand Paul. “It’s an incredibly transmissible disease that everyone is downplaying, saying it’s hard to catch.” But a hazmat suit might help, and boy, are there some blogs for you. 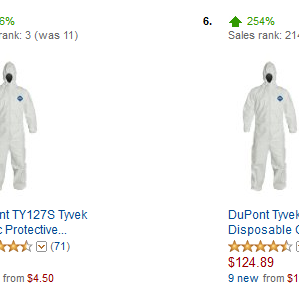 Almost immediately after the first domestic case was confirmed in Texas, Amazon saw a rush on gear normally reserved for scientists in alien movies: “as of Wednesday sales of a type of full-body protective suits were up 131,000 percent and sales for one type of mask had risen 18,000 percent in 24 hours,” CNBC reports. Two days later, the market is still hot. 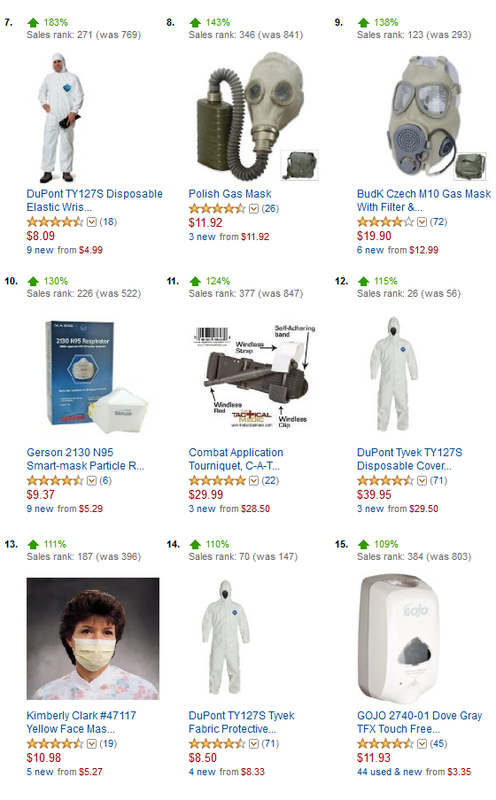 Although the online retailer does not release exact sales figures, the “industrial and scientific” section of the “movers and shakers” page, which shows products flying off the virtual shelves in the last day, is filled with gas masks, body suits, and, for some reason, a “Combat Application Tourniquet” (zombie invasion?). 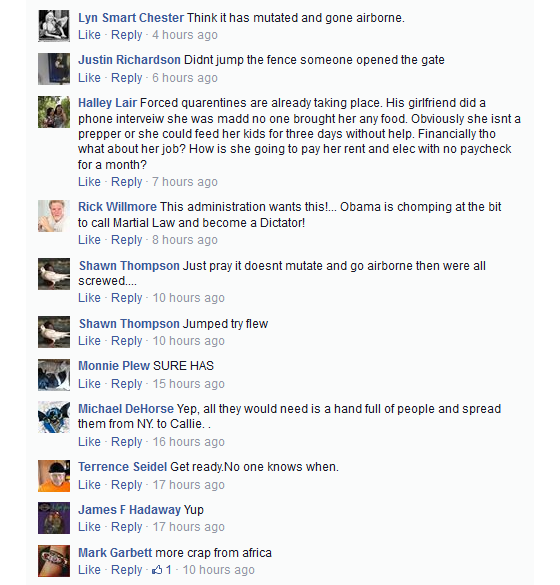 As seen above, a huge chunk of the top 20 sellers would have practical uses if more than one person in the country had Ebola. But in the survivalist community, also known as preppers — the people who think the world could any minute, for reasons ranging from Obama being a reptilian Illuminati puppet to Obama releasing an airborne version of the virus — anyone just shopping now is a total noob. I keep a spray bottle with Shield protective blend and witch hazel with me at all times for use as a hand and gizmo sanitizer. I spray it everywhere, including on my phone, my keyboard, on pillows and bedding, and more. If I feel a sniffle or a runny nose coming on, standalone Shield goes in the diffuser 24/7. 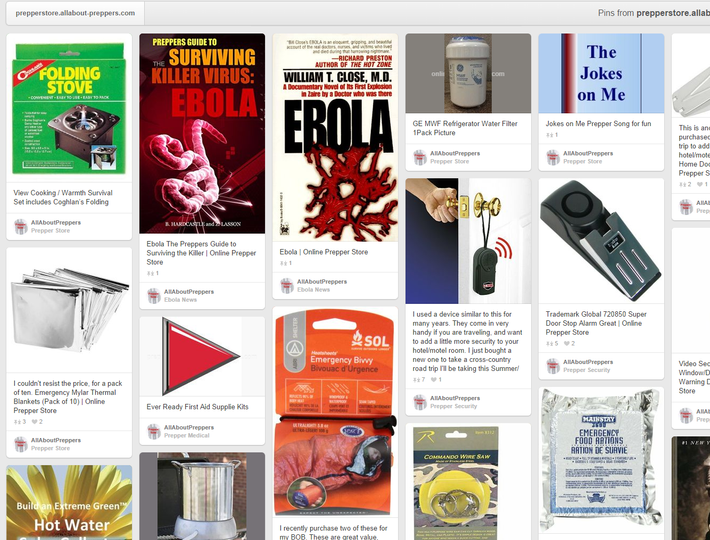 But what about protection from Ebola or other deadly viruses? The jury is out but as far as I am concerned, staying healthy with a strong immune system can not hurt. Here is the recipe I use to make “Shield Protective Spray”. This spray makes a terrific hand sanitizer, room freshener, and all around disinfectant and protectant. This is so darn simple, it is embarrassing. Take a 2 ounce glass spray bottle and add 30 drops of Spark Naturals Shield Blend. One more note. Shield Blend is actually an ancient blend based upon a legend that has its roots in 15th century England during the time of the great plague. Grave-robber thieves developed their own blend of Clove, Cinnamon Bark, Lemon, Eucalyptus, and Rosemary to protect them while robbing the plague victims. Too elaborate? 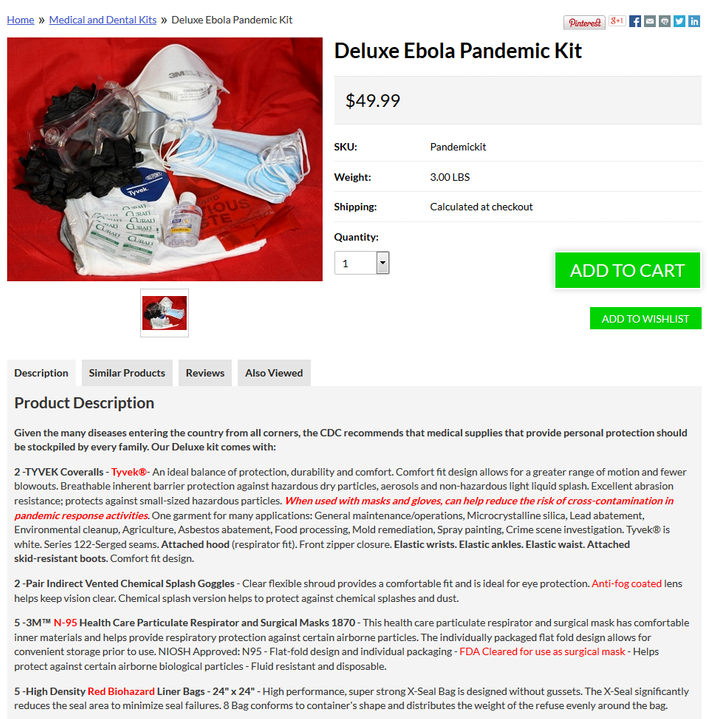 For the prepper concerned with convenience, there’s always the Doom and Bloom’s Deluxe Ebola Pandemic Kit for just $49.99 (plus shipping). Ten alcohol wipes and one two-ounce hand sanitizer are included.